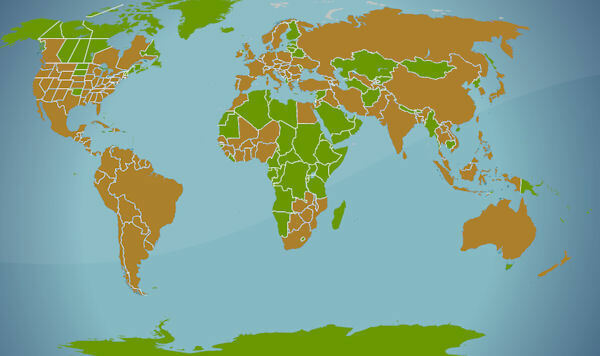 The trouble with using a web application to generate a map of where we’ve been is that it tends to fill in colours of the whole country or state that we’ve travelled to, or through – customised to light brown in this example – even if we haven’t really covered that much territory on the planet itself. Of the 120 countries or so that I’ve visited, some were really only border regions so the map of my travels does look a lot more impressive than it really is. A cities visited map gives a much better indication of where we’ve really been to, but it takes so much longer to click on all the place names; so long, that I haven’t found the time to complete mine. 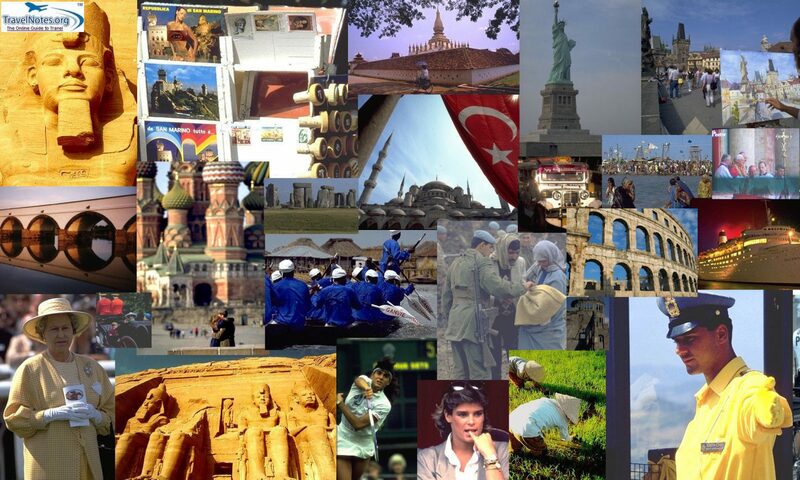 I guess I never will; there’s just too many cities I’ve visited, in almost half a century of travel. Then there’s the question of how much we can actually remember of the places we’ve visited and how much has been clouded by the passing of time. Even all the postcards I used to send home, when hitch-hiking around Europe as a teenager, help me remember the good times on the road and bring the places back to life; although my handwriting wasn’t always at its best. Something I’ve been meaning to do for a long time is to better curate my travels. People often ask me how I managed to visit so many countries and I’ve even surprised myself at how much they’ve all added up over time. I’ve always been interested in maps, I guess, and when I travel somewhere I prefer doing as much as possible overland; to better help me appreciate the geography of the place. I am a frequent traveller, but by no means a frequent flyer. I’m much more comfortable in a train station than an airport; even service stations are more refreshing. This page will be used as something of an index as I attempt to look back and map out where I’ve been on my travels, and maybe even inspire you to visit somewhere new. Feel free to share where you’ve been or where you’d like to visit in the comments. Hi Jules, sorry my reply is somewhat late. I made a ‘screen capture’, cropped it and changed the colours in a paint program, and then embedded my image. I came across your blog whilst searching in vain for a good interactive world travel map. I see your point about pinning cities – I’ve pinned about 1500 on my Tripadvisor map, but boy that took a lot of time. And their map has so many placement errors and omissions. I totally agree with what you say about an entire country being filled in just because you happened to visit just one city. For example, I briefly visited St Petersburg on a Baltic cruise – which gave me the “right” to claim I’d visited Russia and, on a map such as you show, enabling a huge chunk of the world’s land surface to be coloured-in. Of course, this is nonsense. I notice that on some of these “countries I have visited” maps you can select individual US states and Canadian provinces but no other countries are afforded that “privilege”. A decent travel map, IMO, would give that facility for every country – I mean if you just visit Paris – and many Americans seem to only visit capital cities – can you really claim to know France? Likewise any other country except mini-states. I look forward to your improved travel map and hope to be one of the first to use it. Impressive travels! Merci, too, for visiting my blog.